Rediscover the art of writing to your friends rather than typing on cold keyboards. 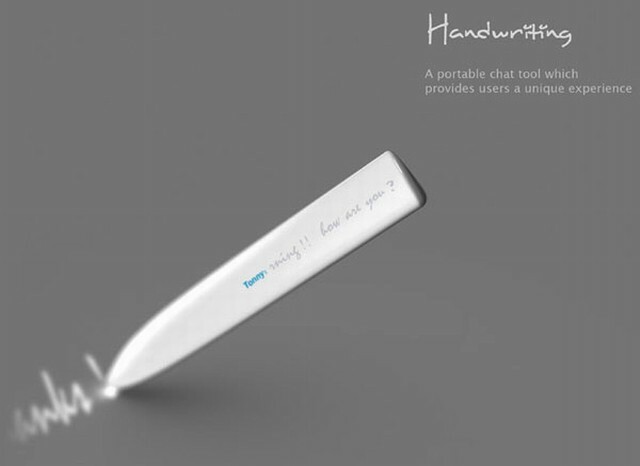 Get it done with ‘Handwriting’, a digital tool fashioned as a pen that replicates this long forgotten art! 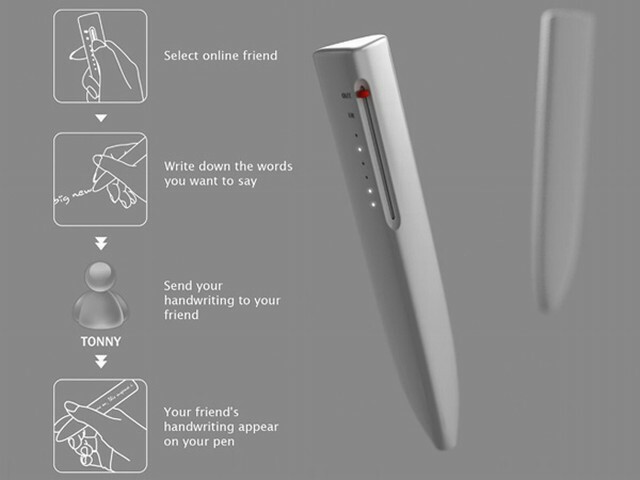 Photoelectric sensors on the tip record your messages and transfer to your chat-friends via the Internet. 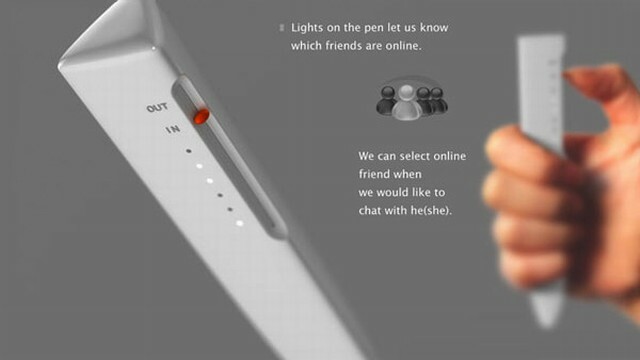 Your friend’s chat appears on the side screen of the pen. Friends online and available for tête à tête are indicated via flashy lights and I think its kinda cool.